June is GLBT Pride month, which means for most (including myself) festivals, parades, 18-dollar cosmopolitans, and picking glitter out of my hair until early August. 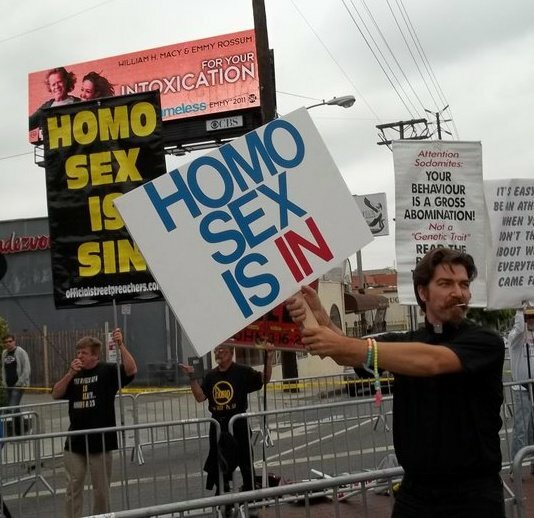 At the West Hollywood Pride parade last weekend, the marching pageantry of floats and performers compressed the collective unconscious of gay culture into a one mile long rainbow yoking together sobering identity politics with unfettered bacchanalia under the all-encompassing banner of pride. We queue the Trevor Project volunteers and their solemn reminder of queer youth suicide a few slots after a float filled with go-go boys in Speedos and yet somehow neither disrespect the memory of those tragically never given the chance to join us nor completely kill the buzz of merriment and libido. Rather it reminds us of the broad spectrum of what we must fight for: the right to be subjects of our own desire. This is a desire that ranges from a teenager’s right to realize his or her gender and sexual identity without shame or persecution to an adult’s right to mould and sculpt their own body into the shape of their own desire. ← What’s Queer About “The Trip” ?